Seal Tech Refrigeration has been providing it's services to many of the top refrigeration company's clients throughout San Diego County since 1994. Our repair service and unique expertise have become an irreplaceable solution in providing complete turnkey services to their clients. The most distinctive difference between Seal Tech Refrigeration and other refrigeration sales and servicing companies is that we do not replace, we repair! This applies to even the most challenging and seemingly impossible situations. 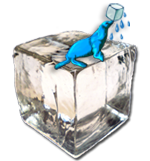 We specialize in engineering and creating custom refrigeration seals and reftrigeration hardware solutions INSTEAD of recommending a more costly replacement. We also handle new installations! If you are opening a new location needing refrigeration system design and installation - we can help you find the best options and solution for less! 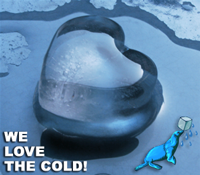 Nobody beats our one of a kind approach to the refrigeration system repair or replacement process. We can save you time, money, and potential aggrivation with a more involved, lengthy and costly process. Our team works directly with refrigeration companies, as well as industrial and commercial businesses using refrigeration equipment and systems. We virtually eliminate call back services and completely satisfy all Health Department code related issues. When your company depends upon it's refrigeration system, walk in cooler, cold storage units, or other system, our repair solutions will save you time and money. BEFORE you spend more and replace, give us a call or send an email to speak with a customer service representative. 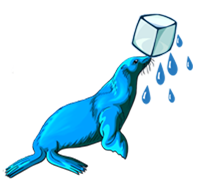 Seal Tech Refrigeration is no ordinary refrigeration and servicing company. The team is uniquely qualified in fabricating custom solutions "by hand". Our custom installation and repair services address all problems associated with all types of commercial and industrial cold storage containment units. We hande everything from small restaurant reach-in freezers and coolers, walk in coolers, to 600,000 square foot industrial refrigerated warehouses. Unlike many other refrigeration repair and servicing companies, our team also provides parts and service in a shorter time period than almost anyone in the industry. When you call us to discuss your refrigeration repair or replacement needs, we can usually be there working and done with the entire job in far less time than other companies can even get the parts. Before you spend more on replacement of your refrigeration system, give us a call to find out why more companies choose us for their refrigeration system servicing needs. 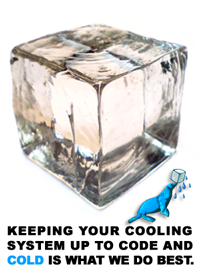 What Type of Refrigeration System Do You Have? New clients please register via the link below. Existing clients can login here. Your information is always kept private and will never be shared with anyone. Keep up to date with our RSS syndication feed links. Click your preferred rss reader below to subscribe free.